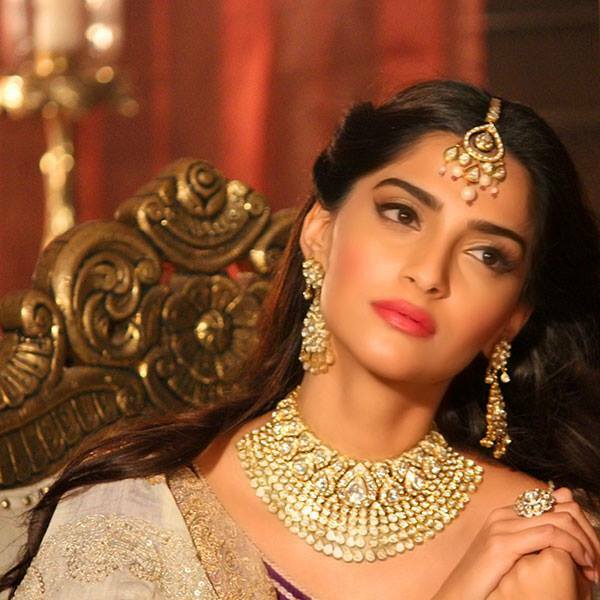 Sonam Kapoor at the jewellery line promotion for Kalyan Jewelers , strangely she is not wearing any jewellery though. Sonam Kapoor looks elegant and classy in white off shoulder dress, make up wore is perfect not too heavy and not very subtle. The smile as always is very charming , she captivated the attention of everyone in the banquet hall.